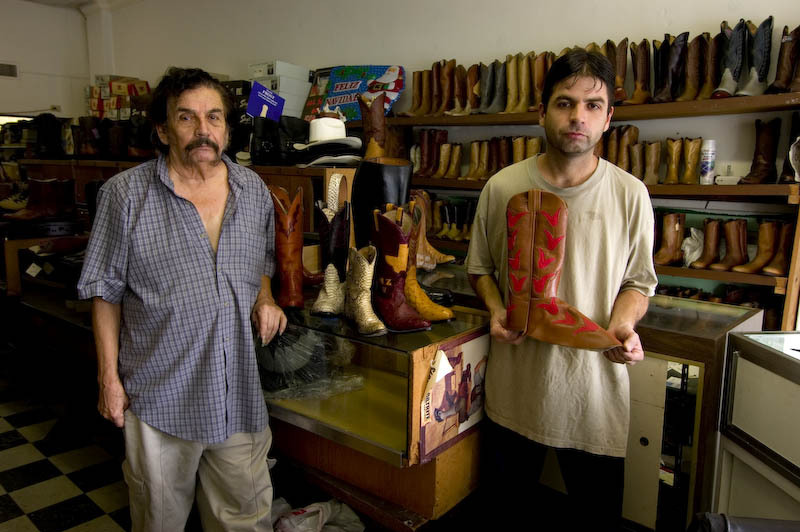 Caption: Felipe Ramirez and Felipe Jr., Ramirez Boot Shop, 326A W. Jefferson Blvd., Dallas, Texas. They have been on Jefferson since 1980, having moved from Big Spring, Texas when the air base there closed. They are custom boot makers, and get upwards of $1,400.00 a pair. 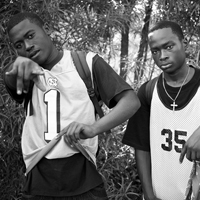 Their clientele comes from all over the country. Felipe Sr. is pleased that his son has stayed in the business, and to have him working with him everyday.